The year 2011 was good to the U.S. auto industry with carmakers Volkswagen, Chrysler and Ford all seeing significant increases in sales. 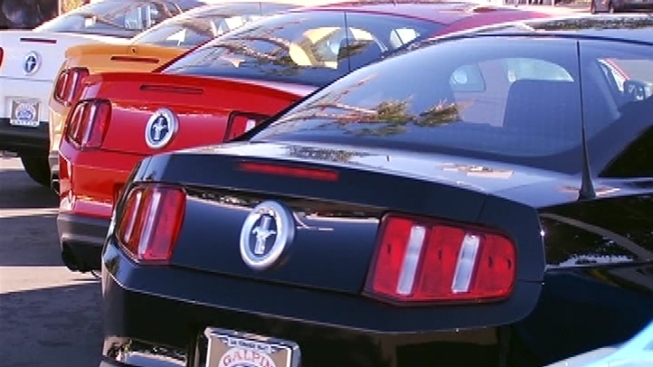 At Ford’s top dealership, Galpin Ford in North Hills, sales were up 28 percent in December and 32 percent for the entire year. There were 12.8 million cars sold in the U.S. in 2011, according to automotive research website Edmunds.com. That’s the highest number since 2008 when 13.2 million vehicles were sold. Edmunds projects an even bigger 2012, with 13.6 million in car sales expected. Big vehicles are also making a comeback. High-tech touch screens and improved gas mileage have made bigger cars more attractive. Ford saw trucks like its F-150 post big gains last year.